The customer acknowledges that the credit card details provided to Consolidation Enterprises are used to secure the booking. In the event of a service being cancelled, the customer acknowledges that the booking which has been secured through credit card will have a 25% cancellation fee applied. If credit card details are not available the customer must accept our terms and conditions by email. If the job is cancelled once conditions have been accepted, the customer is aware a 25% cancellation fee will apply. Payments must be made in full upon completion of job. The customer will have the option of paying by Cheque, Cash, Electronic funds transfer (receipt required) or Credit Card details. If the customer is not home on delivery / installation or completion of the job, credit card details will automatically be entered onto invoice and debited within one week of job completion. The customer is aware if paying by Electronic funds transfer a receipt number will be required prior to completion of job. At all times, the stock delivered and recorded will remain the property of Consolidation Enterprises. All material will be delivered and set up by Consolidation Enterprises. The customer is aware of the hiring conditions set out by Consolidation Enterprises and acknowledges charges will apply after the due by date. 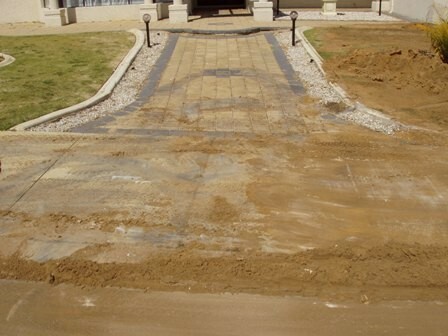 Consolidation Enterprises takes no responsibility for damage which may occur during excavation works. The customer must ensure access when material is collected. Charges may apply if material is not freely available. Stock delivered is the responsibility of the customer, any stock missing will be charged to the customer at prime cost. The customer acknowledges in the event where material requires rectification due to outside factors, service charges will apply. If stock is damaged due to negligence charges will apply at Prime cost. The customer is aware mesh and planks is a temporary safety measure and is not to be used for walking or standing on. Consolidation Enterprises will not be held responsible for any accidents or injurys which may occur. 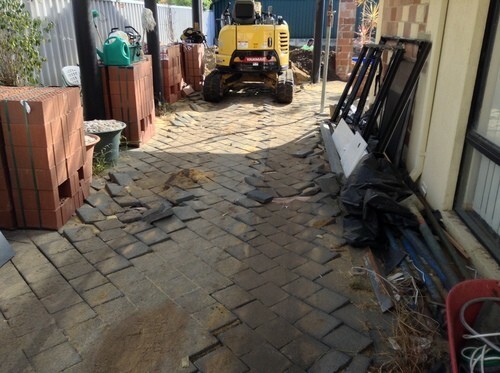 It will be the customers responsibility to ensure material complies with council requirements. If material is stolen or moved Consolidation Enterprises must be contacted immediately. Hiring of protection boards will be delivered and set up by Consolidation Enterprises. Hiring periods are a minimum of one week. Delivery will commence one day prior to excavation and collected on the eighth day. The customer acknowledges if material is not ready for collection by due by date extra charges will apply. E.g. $1.00 per board per day. The boards will only be collected earlier upon the customer request (collected within 48 hours of notification). Hiring of temporary fence panels will be installed by Consolidation Enterprises in consultation with the customer. Hiring periods are a minimum of one month. Extended Hire - Up to 40mtrs - $55.00 per month. Extended Hire - 41mtrs to 60mtrs - $66.00 per month. Extended Hire - 61mtrs to 80mtrs - $77.00 per month. Payment to be made upon collection of fence if hiring exceeds one month. Hiring of Mesh and Planks will be installed by Consolidation Enterprises. Hiring periods are a minimum of 12 months.